A cruise ship carrying more than 600 visitors made a stopover in Bahrain on November 4, marking the start of the kingdom's cruise season. 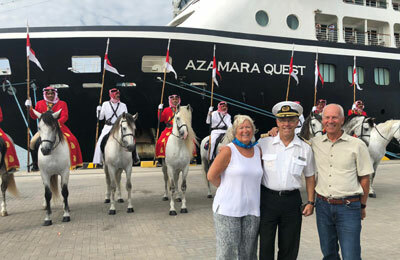 The cruise ship, sailing under the Azamara Quest cruise line, had over 600 tourists onboard from different nationalities. The visitors were welcomed by the Bahrain Tourism and Exhibitions Authority (BTEA) and were taken on a tour around the kingdom.